Jermeshia + Justin, The Goudlife - Oh So Savvy, the Blog. If you know Savvy, you know what really gets us going is the THOUGHT of a space transformation because we love, eat and breathe design!!! First of all, a blank (read boring) space has endless possibilities. And second, it presents a unique opportunity to create something from scratch. Therefore, a full transformation is just the type of job we live for. Jermeshia and Justin’s real wedding was no exception. Our bride Jermeshia came to us with one simple request: she truly wanted a jaw-dropping wedding reception with good food and fun… held in her grandmother’s reception hall. 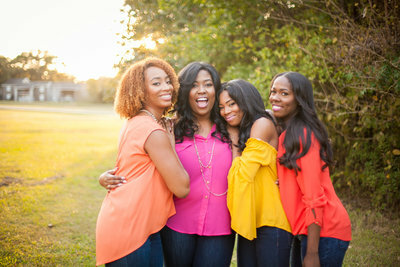 Although Houston has more than its fair share of notable venues, Jermeshia was determined to honor her Grandmother by hosting her wedding on family property. Food and fun can be easy enough to manage, but the word “hall” might give you pause if you aren’t prepared to think outside of the box. So what did we do? We threw the box away! In an awesome collaboration with Keisha’s Kreations, Plants ‘n Petals, and LG Entertainment, we turned the Enchanted Courtyard (a relic in 5th Ward Houston, Texas) into the perfect backdrop for Mr. And Mrs. Justin Goudeau’s wedding celebration. Jermeshia chose the perfect color palette of jewel tones and gold accents. The entire process took some true creativity and a little convincing, because the bride’s grandmother, Mrs. Braden, was VERY particular about how we used her reception hall. Also, this was a wedding where the guest list just seemed to keep growing and growing. Although there were challenges, our team was up to the task, and as a result, the complete transformation of the Enchanted Courtyard blew our bride and groom away. Even Mrs. Braden was speechless. As a result, the Goudeau wedding was a complete blast to produce. Take a look!